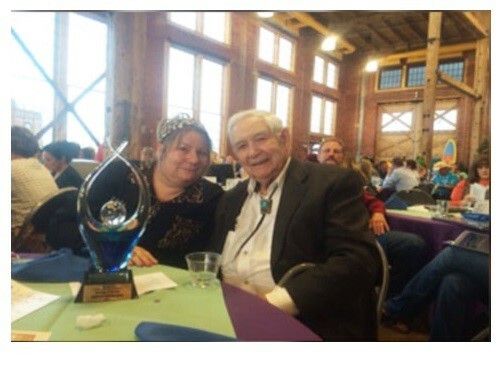 May 15, 2015 - The City of Evanston, WY hosted their 5th annual awards banquet on Friday, May 8th, 2015 at the Evanston Roundhouse. The Chamber of Commerce presented Howard Woody and Union Wireless with the Business of the Year award. This award is given to a business that provides services to the community, encourages its personnel to be active in supporting charitable and civic events, and continues to provide stable employment opportunities.